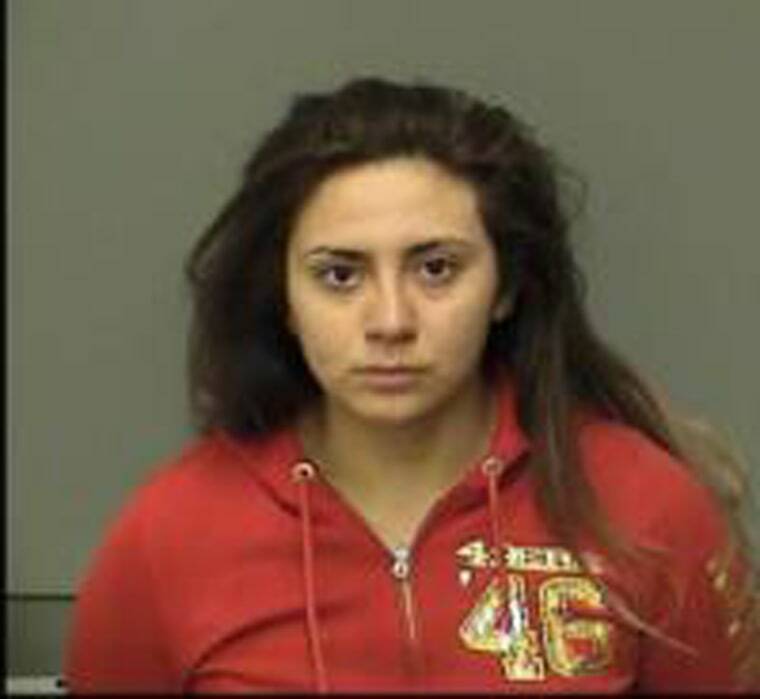 In a Friday night phone interview with NBC Fresno affiliate KSEE from jail — where she is being held on $300,000 bail — Obdulia Sanchez, 18, said she drove while filming herself often on Instagram and Snapchat, but she had never crashed before. “I didn't even know I looked like a monster — like, I look like a freaking horrible monster,” Sanchez said of the video she took last month as her little sister died in the wreck. "That was not my intention at all." Sanchez has been charged with drunk driving and vehicular manslaughter. According to California Highway Patrol, Sanchez was under the influence and livestreaming on her phone when her car suddenly began veering to the left. She tried to overcorrect but panicked. "That's when I just started freaking out," she said. "And then I look in the back seat and there's nobody in the back seat, and that's when I started freaking out." Her car rolled, tumbling off the road and into a barbed wire fence. The backseats were empty because at some point, Sanchez’s sister and another 14-year-old were ejected from the car. Sanchez turned off the live stream momentarily, as she exited her vehicle, but switched it back on a few minutes later. Her viewers watched as she then discovered the dead body of her sister, Jacqueline, in the grass a few yards away. "I knew she was dead because I took her pulse and she had no pulse," she said. The livestream also captured her 911 call. "I f-----g killed my sister, OK? I know I'm going to jail for life," Sánchez says in the video. "This is the last thing I wanted to happen, OK? I don't f-----g care though, I'm going to hold it down. Rest in peace, sweetie. If you don't survive, I am so f-----g sorry." Sanchez stopped short of defending livestreaming while driving, but said it was popular among her generation. She also seemed to suggest that her age and the social pervasiveness of streaming ought to precipitate some forgiveness. But now, almost a month later, she has nothing left to do but think about the sister she called "my mini-me" while she and her family receive death threats and await a hearing for the charges she has pleaded not guilty to.